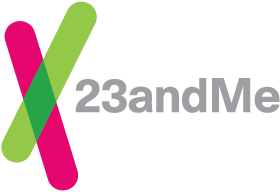 Important: The information provided in this article is only applicable to 23andMe customers who purchased prior to November 22, 2013, registered their kit prior to November 16, 2015, and have already received their genotyped genetic data. These customers will see a Reports Archive option within their 23andMe accounts. If you do not see a Reports Archive option in your account, the content of this article is not applicable to you. The Reports Archive is a place to access the health-related reports purchased by customers prior to November 22, 2013 and registered their kit prior to November 16, 2015. These health-related reports are no longer compatible with our website experience, but are available in their PDF format to download and print. Your Reports Archive will only include the health reports for your profile -- people with whom you are sharing results will not be included in your Reports Archive and the Reports Archive is not shared between accounts. The Reports Archive can be accessed from the side panel in your account, or by clicking here. Both the Reports Summary and Download All Archived Reports include your Health Risks, Inherited Conditions, Drug Response, and Traits. The amount of detail included about the report vary based on the download option you choose. You can download either or both reports at any time from within the Reports Archive. Some accounts contain more than one registered profile -- this is different than Genome Sharing. Profiles with whom you are sharing results are not registered into your account. For information about Genome Sharing and the Reports Archive, click here.